Don't rely on your own strength and wisdom to solve your issues but rather lay all your problems to God by having strategic prayers and let God do the rest of the work. God does not promise that He will bless us with wisdom, He advises us to acquire it. 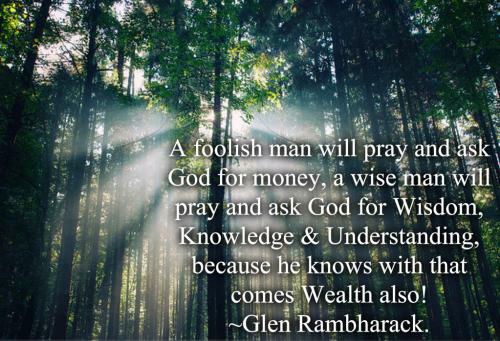 A foolish man will pray and ask God for money, a wise man will pray and ask God for Wisdom, Knowledge and Understanding, because he knows with that comes wealth also! In stillness there is beauty, wisdom, and the answer. That's what happens when you let go and let GOD. 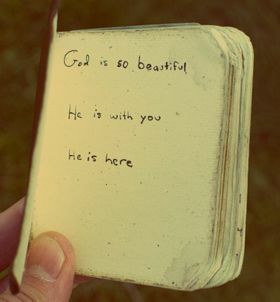 God has a reason for allowing things to happen. We may never understand His wisdom but we simply have to trust His will. 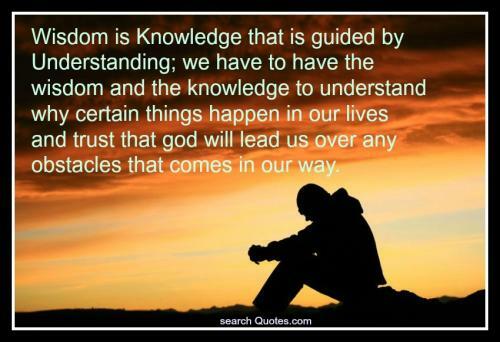 Wisdom is Knowledge that is guided by Understanding; we have to have the wisdom and the knowledge to understand why certain things happen in our lives and trust that god will lead us over any obstacles that come in our way. I asked for strength and God gave me difficulties to make me strong. I asked for wisdom and God gave me problems to solve. I asked for prosperity and God gave me brawn and brains to work. I asked for courage and God gave me dangers to overcome. I asked for patience and God placed me in situations where I was forced to wait. I asked for love and God gave me troubled people to help. I asked for favors and God gave me opportunities. I asked for everything so I could enjoy life. Instead, He gave me life so I could enjoy everything. I received nothing I wanted, I received everything I needed. YOUR CHOICES CREATE YOUR DESTINY. When you allow others to decide for you, you also make them masters of your destiny. Ask God for wisdom. Decide for yourself.